Yes! That is what really matters! 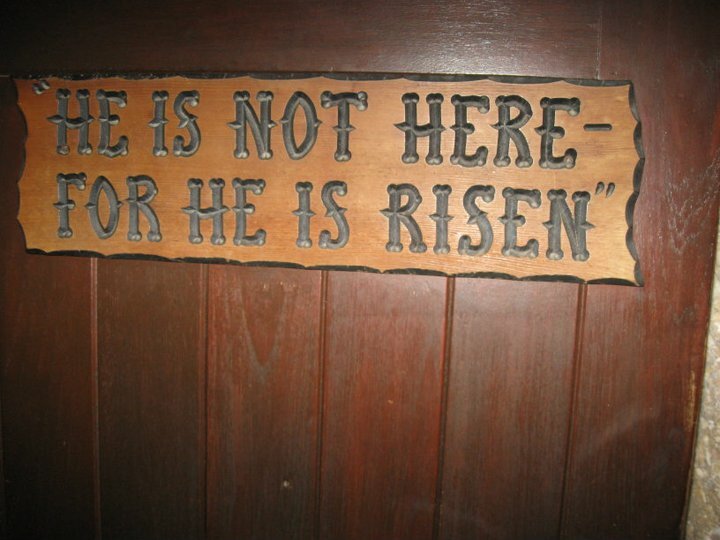 As the old hymn says, “I serve I risen Savior, He’s in the world today. 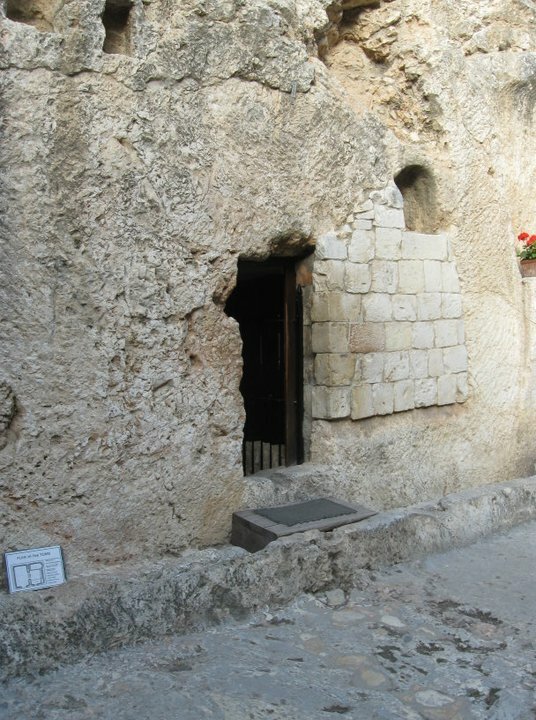 I know that He is living whatever men may say…” That is the message and the hope of Easter. 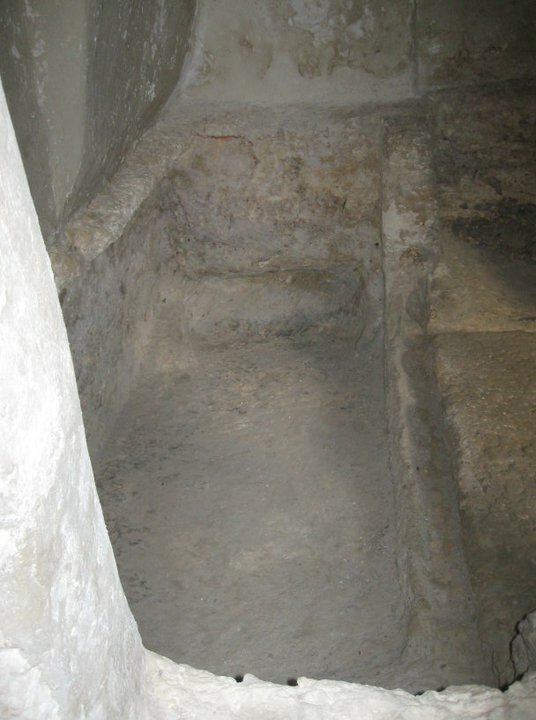 In fact, Easter Sunday is not the only Sunday that the Christian church celebrates the resurrection. Have you ever wondered why we worship on Sunday? Because Jesus rose on Sunday. The early Christians did not gather to worship on the Jewish Sabbath (Saturday) but gathered to worship on Sunday because that was the day their Savior rose. So, every single time we gather for worship on Sunday, we are celebrating the resurrection of Christ. Yes, Easter Sunday and every Sunday is resurrection Sunday! Have you ever thought about the fact that Jesus only said that He was personally building one thing: the church? Here Jesus speaks of the “universal” church, that is the ekklesia made up of all believers the world over who have ever lived, are living, and will ever live. The Bible also speaks of what we call a “local” church, that is a gathering of Christians from a particular location. For instance, many of Paul’s epistles begin with a reference to the saints in a particular city. That is they are addressed to particular churches. Revelation 2-3 famously refer to the seven churches in Asia and there God speaks to specific local churches. You really can’t separate those two ideas out. I like to say that the local church is simply an expression of the universal church. As Christians, we are to love BOTH the local church and the universal church. It’s easy to love the universal church. Just the thought of millions upon millions of fellow believers from almost all nations, races, and languages is an encouragement to us. There is nothing quite like traveling to another country and worshiping with other believers that you do not know and yet immediately sensing the Spirit of God in your midst. While the church is struggling in North America right now, it is advancing strongly on every other continent. Jesus is truly building His church every single day. More people are coming to Christ the world over right now than at any time in world history. It just doesn’t appear that way if you are sitting in a church in America. I love the universal church. It is a great encouragement to me. This fact brings me to the local church. Probably, most readers of this blog are faithful members of a local church in the United States. The local church is a little more difficult to love because we have seen it up close. We have seen churches grow, and we have seen churches implode. We have seen churches reach people and we have seen churches go for years without a single baptism. We have seen churches move ahead with great faith and unity, and we have seen way too many churches fall into severe conflict with collateral damage in the lives of countless people. We have seen churches change and we have seen churches die. If we stop and think about it, we could all likely name a number of scandals involving a local church. Depending on our particular experiences and perspective, the local church may or may not be a source of encouragement when you think about it. Please let me share a word of exhortation here. I am one who has given my entire adult life to serving local churches – that’s over twenty years of full time ministry as a pastor. Certainly, I have seen the great, the good, the bad, and the downright ugly in the local church. I have seen the local church at its best and I have seen it at its worst, and I would absolutely do it all over again! How do I say that? Because I believe with all of my heart that the local church is the most important organization on the planet. Remember, the church is the only thing that Jesus said He is personally building. I want to invest my life in what is most important to Jesus! The truth is that I love all Bible believing, gospel preaching, Jesus worshiping churches. I have preached in churches of all sizes and in all types of communities. I love churches. It fascinates me to see how God is working in each place. Certainly, I have seen many churches that could be more effective due to many factors, but I have yet to see a church that could not reach someone. I have yet to see a church that did not have at least a handful of Godly, faithful people who longed for revival and to see their church reach others. I have yet to see a church that did not advance the kingdom and bring honor to Christ in some way. I love churches. Country churches, city churches, suburban churches, small churches, large churches, traditional churches, contemporary churches, you name them, I love them all. Jesus is building His church, and that is evident through His work in local churches all over the world. Now, let’s think for a moment about “my church” that is the church I presently serve, Whitesburg Baptist Church. You know the church that you go to is like your family. Deficiencies and shortcomings quickly come to mind! Why is that? Because we see the blemishes of those we are closest to. All of us who attend church faithfully could list numerous ways that our church could be better. It is at our home church that we see up close and personal that the church is people and therefore imperfect. Nevertheless, I love my church. There is far more right with Whitesburg than wrong with Whitesburg. Some of the finest Christians I have ever known are part of the Whitesburg family. Each year, hundreds of people give their life to Christ through my church’s influence. Some of the closest friends I have in this world are at Whitesburg. The Bible is preached and Christ is exalted at Whitesburg. I love my church. So there you have it. I love the church universal, the church local, and I love my church. Jesus is at work building His church, and it is a great joy of my life to be a small part of what He is doing in the church. No matter what may be going on in your particular church, don’t give up. God is not out of business. Love the church, churches, and love your church!